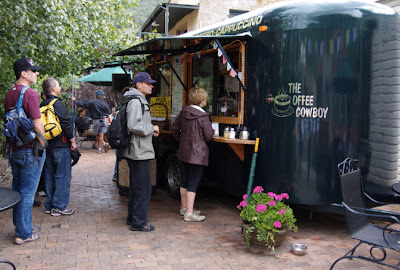 We woke to rain this morning in Telluride and heard that rain was falling in Durango as well. We thought of the riders having to descend Lizard Head Pass, but did we hesitate to begin our day as fans - no. Not for a minute. 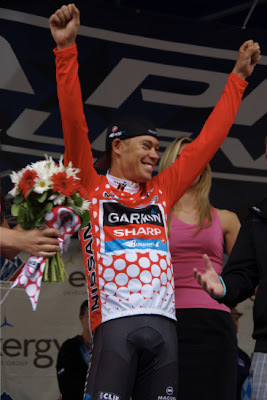 We were excited for what lie ahead. 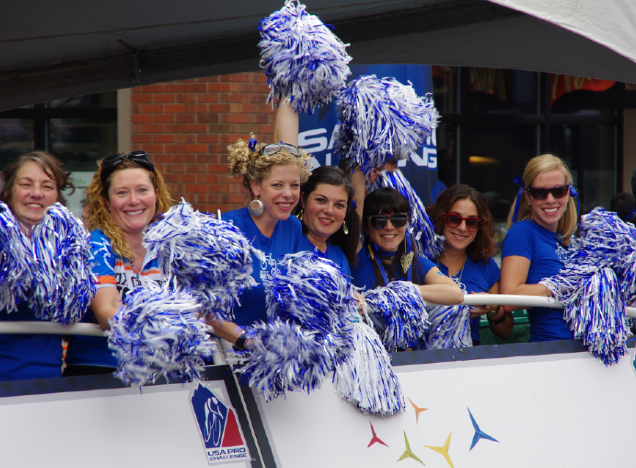 We dressed in our favorite fan shirts, jerseys, and hats. We brought our signs and pins. 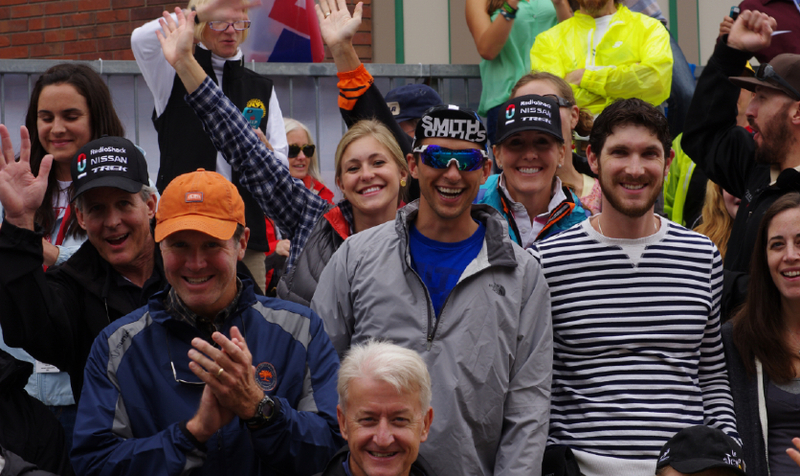 By the end of the day, together we had bought or picked up a new BMC kit, 2 BMC hats, 2 Garmin jackets, a VIP ticket, a Press Photo vest, and a lot of free cowbells and swag. 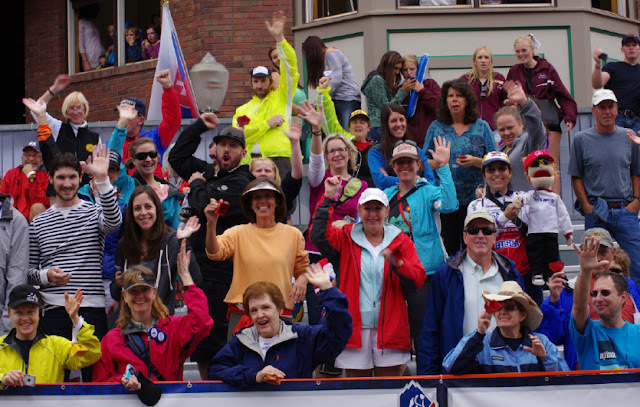 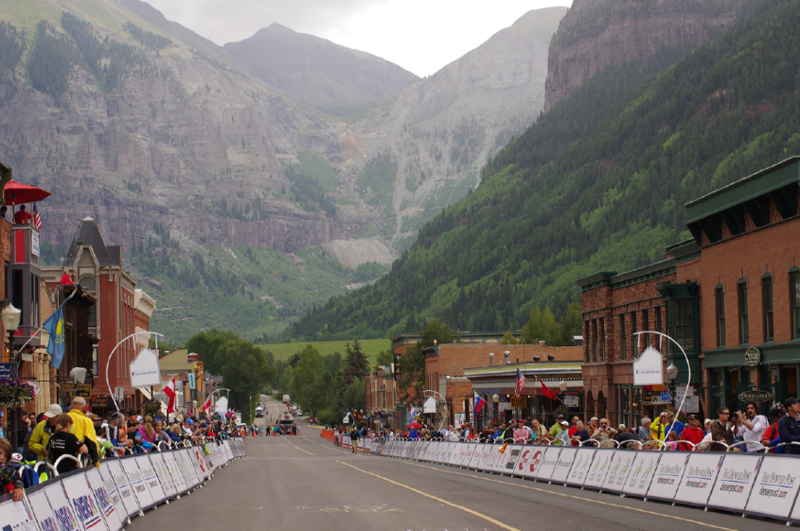 We returned home with a complete fan experience in Telluride thrilled that the rest of the world got to experience the incredible riding we have right here in Colorado. 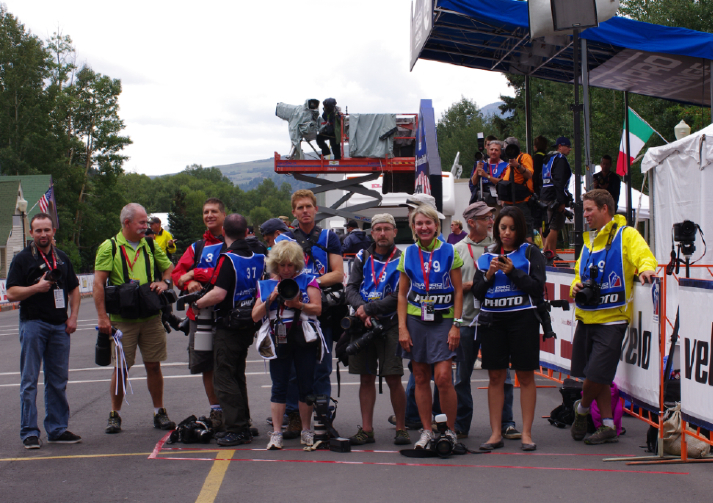 The race was broadcast to over 130 countries around the world including Antarctica. 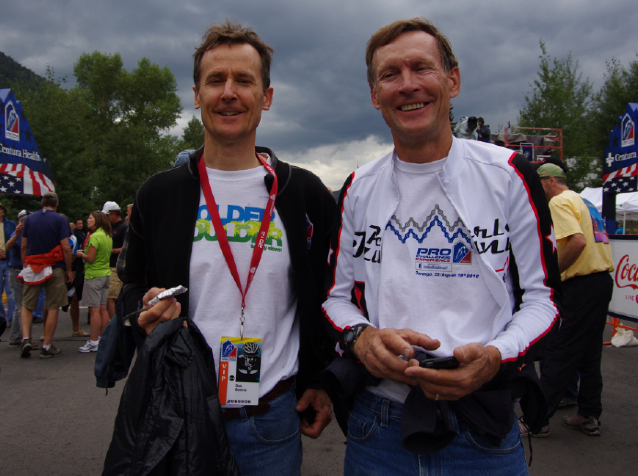 We listened as the voices of Phil Liggett and and Paul Sherwen narrated the roads and scenery that are in our backyard. 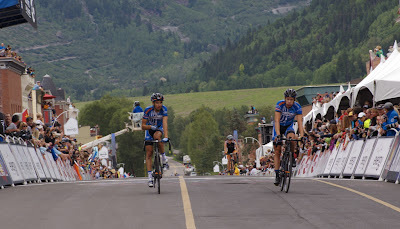 We chuckled as Phil Liggett pronounced Hoosier Pass as "Who-zee-air Pass" adding a French twist in his familiar English accent to our local mountain pass near Breckenridge. 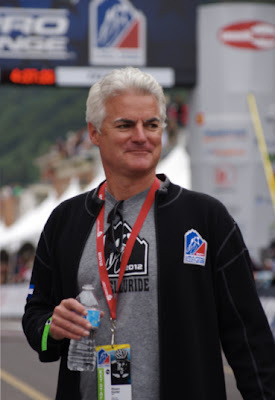 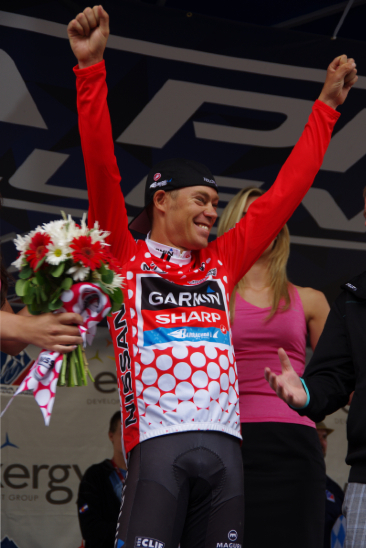 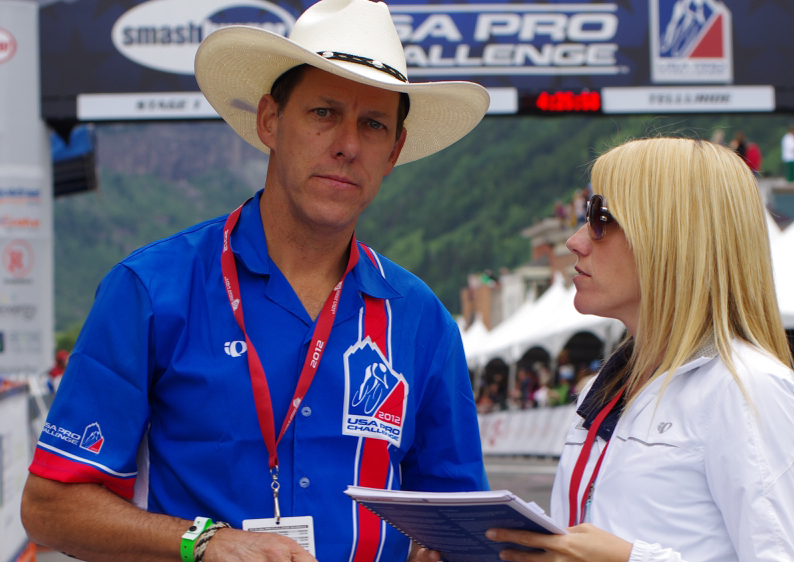 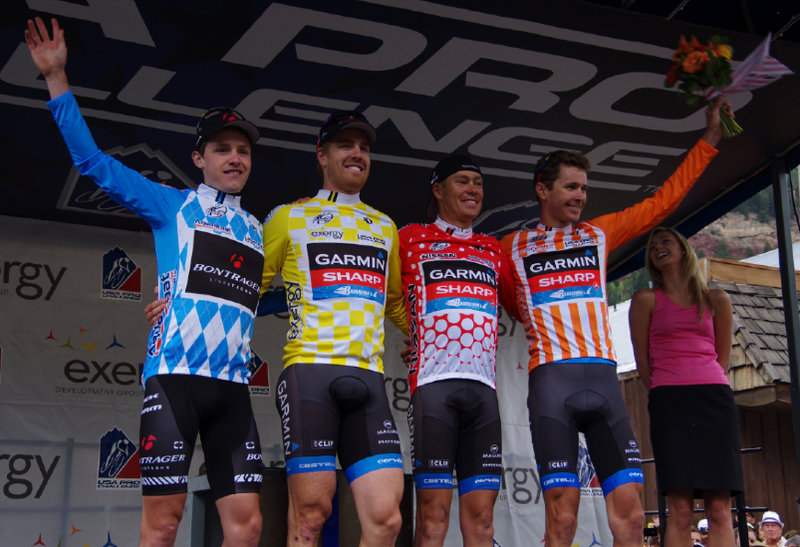 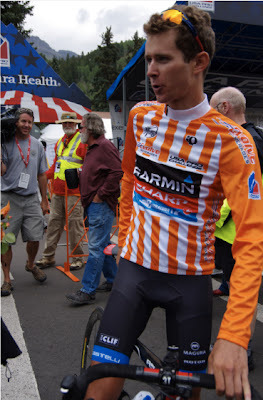 It was a sign that the USA Pro Cycling Challenge had returned in 2012, and we were thrilled to be going to the race. 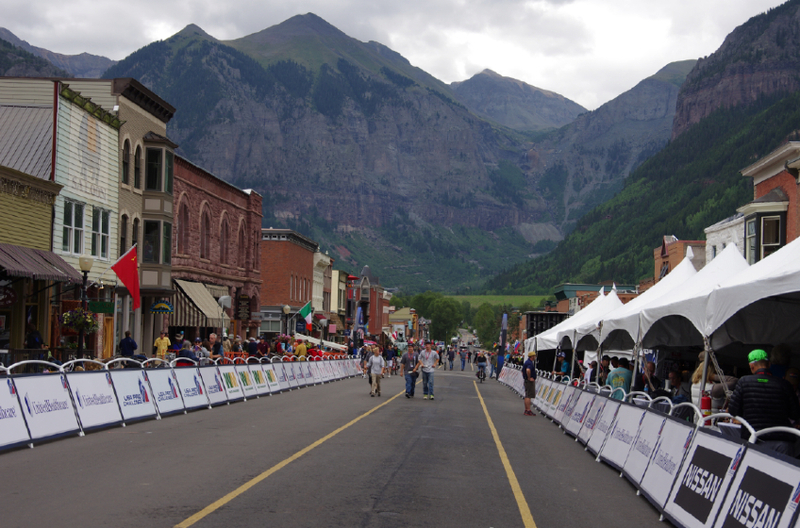 The fans began to gather in downtown Telluride under a backdrop that looked like it was created by a movie special affects studio. The mood was relaxed and fun as fans walked the streets, ate outside at cafes, and wandered through the Expo in the park. 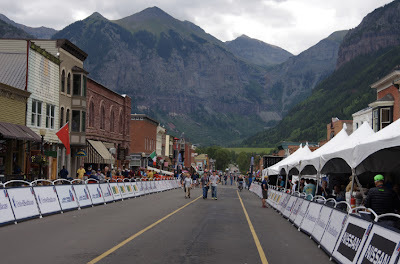 At the Start in Telluride for Stage 1 - 2012 USA Pro Cycling Challenge All images by Karen at Pedal Dancer®, please click any image to enlarge. The Race Director Jim Birrell showed up, with media relation's Nicole Okoneski. Then suddenly a roar filled the air as the riders came ripping around the last corner, the sounds of cheers from the fans building as we all watched together ..... who will win? 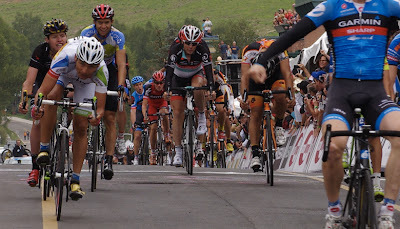 ... go ... 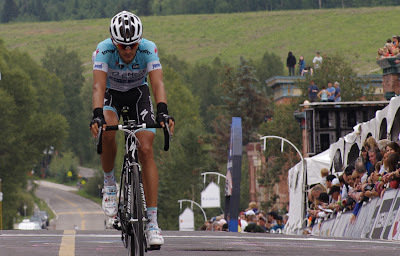 Go!!!! 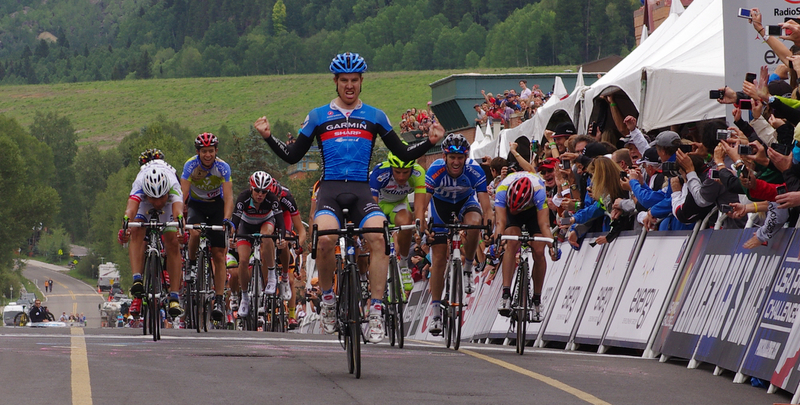 Tyler Farrar wins Stage 1! Yeah! 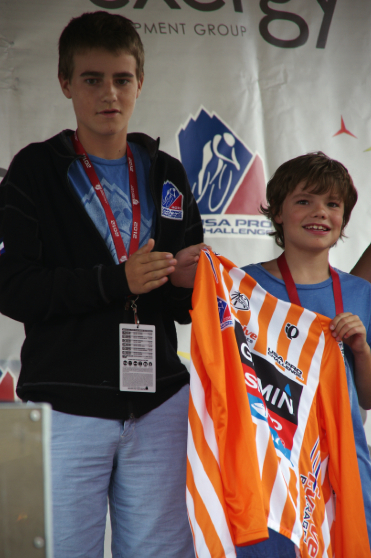 Our new Best Young Rider Gavon Mannion (Bontrager Livestrong Team) crossed the line with tremendous effort, great job. 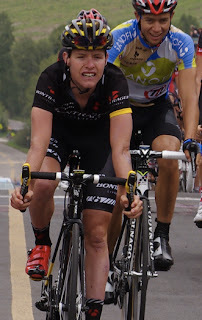 Christian Vande Velde worked hard for a team win. 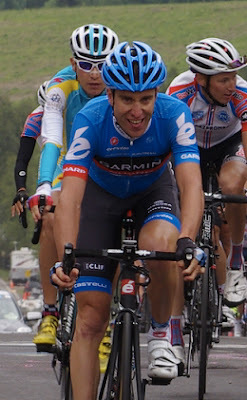 Team Garmin-Sharp-Barracuda did a great job on Stage 1. 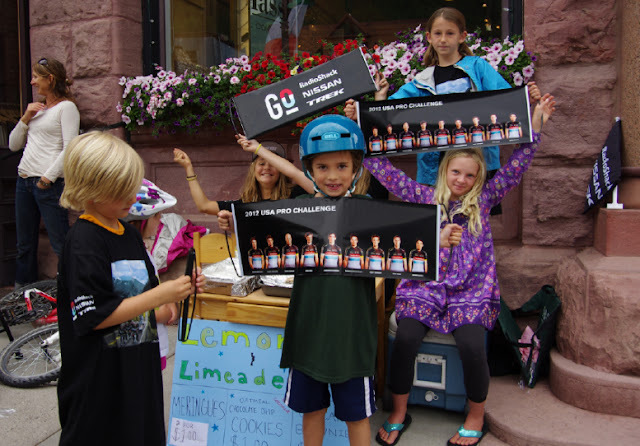 United Healthcare riders show the effort it took to ride the 125.7 miles from Durango to Telluride. 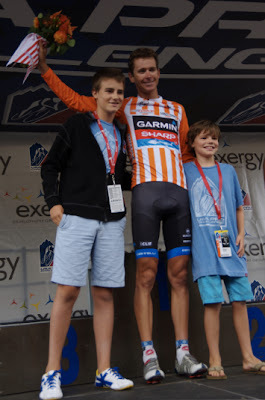 Representing the young fans were the two sons of Shawn Hunter, who presented the orange jersey to Peter Stetina, winner of the Most Aggressive Rider classification. Peter Stetina after the race. 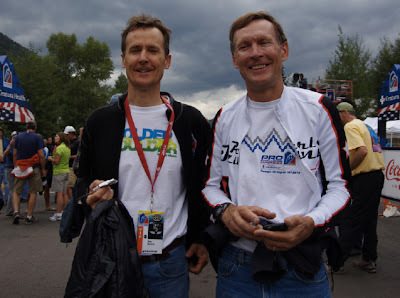 Brothers Dale Stetina and Wayne Stetina, Peter's Father and Uncle - both U.S. National Road Champions, were at the race to see Peter get his jersey. A happy day for a cycling family. 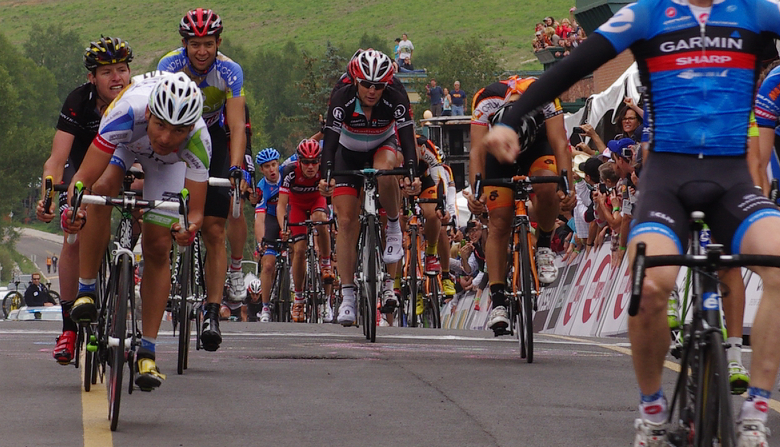 I would like to share a special race feature presented by Training Peaks. 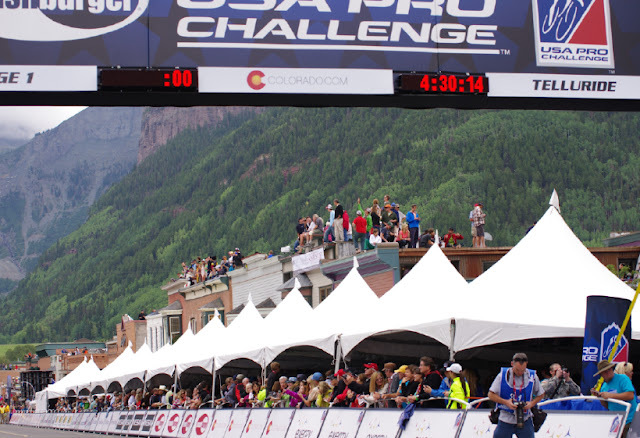 They are offering race analysis for the USA Pro Challenge from Stage 1 featuring Timmy Duggan, Tejay van Garderen, Lucas Euser, and Jani Brajkovic. You may follow them daily through the week, please visit the USAPC analysis pages at trainingpeaks.com/USAPCChttp://home.trainingpeaks.com/races/usa-pro-cycling-challenge.aspx. 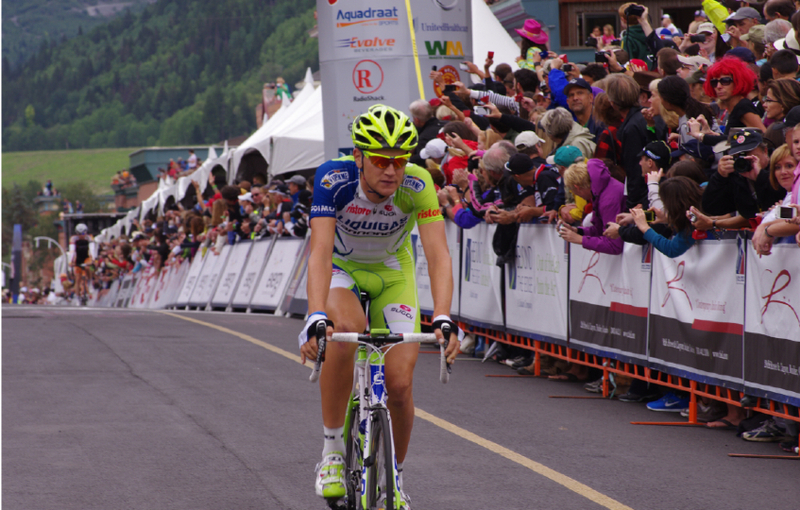 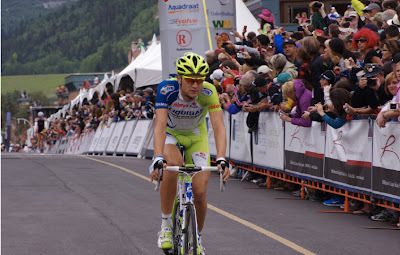 Post race analysis from Stage 1: Durango-Telluride.